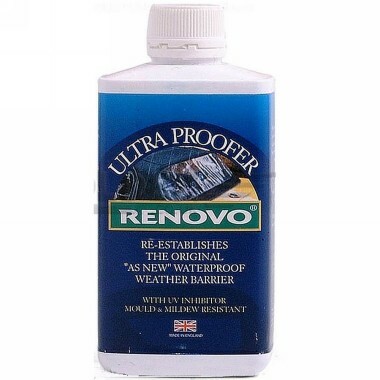 This product will re-establish the original as new waterproof weather barrier of your boat covers and bimini tops! The recently improved formulation now has the added benefits of UV factor protection and a mould/mildew growth inhibitor. Ultra Proofer will help to prevent the harmful penetration of everyday dirt into the fibres of new and old boat cover canvas material and help to keep the re-colour provided by Boat Canvas Reviver fresher for even longer.